An epic fantasy written and illustrated by the legendary director Hayao Miyazaki! An addition to the perennially popular line of Studio Ghibli art books--which include interviews, concept sketches, and finished animation cels--of classic animated films such as Spirited Away and My Neighbor Totoro. 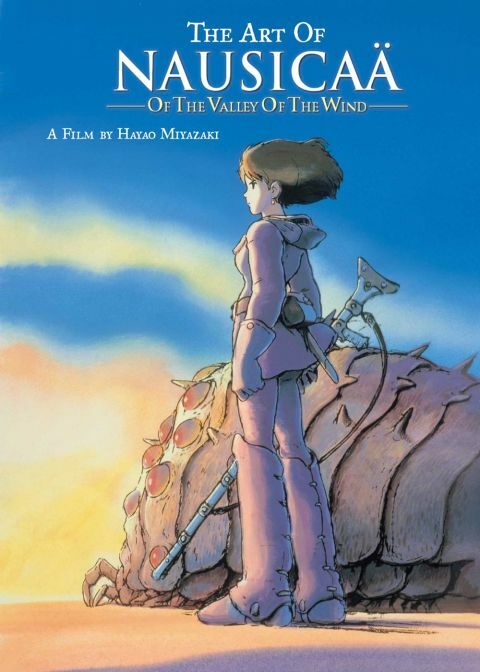 Hayao Miyazaki's Nausicaa of the Valley of the Wind, based on his own manga, was released in 1984 and has been a cult classic ever since. In a long-ago war, humankind set off a devastating ecological disaster. The earth is slowly submerging beneath the expanding Sea of Decay, an enormous toxic forest that creates mutant insects and poisonous spores. Beyond the sea lies the Valley of the Wind, a kingdom of barely 500 citizens and home to Nausicaa, who risks everything to save her people and bring peace and health to the valley. Includes sketches, developmental water colors, cel animation, and more. Other products for "Studio Ghibli" in "Books"